4-14-06 –In my first decade as a gardener I developed a great fondness for growing perennials, and began shopping at the many fine retail nurseries in the Twin Cities. Yet I never spent a minute thinking about how exactly the perennials I purchased came into being. What’s this? A gorgeous new variety of Campanula, Eupatorium, or Heuchera? My, my, isn’t nature a wonderful thing! It wasn’t until years later that I began to fully appreciate the expertise, hard work, and patience of the extraordinary experts who exist behind the retail curtain—the men and women at specialty wholesale nurseries who actually breed the perennials we gardeners so often take for granted. 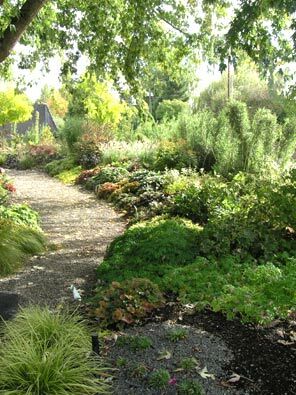 Last fall while traveling through Oregon I visited one of America’s premier plant hybridizers, Terra Nova Nurseries, and met its co-founder and president, perennial expert and self-proclaimed “hortiholic,” Dan Heims. With Heims at the helm Terra Nova has introduced nearly 500 new perennials since its start in 1992, including such northern garden stalwarts as Ajuga ‘Chocolate Chip,’ Tiarella ‘Sugar and Spice,’ Heuchera ‘Amber Waves’ and Heucherella ‘Stoplight’ (perhaps my favorite perennial on the planet). Luckily, the day I arrived was a slow visitor day for Dan; only two other plant nerds, owners of a retail nursery in Australia, had come to visit. Dan bundled us together and deftly escorted us on a two-hour tour into his world of perennial production wizardry. Touring Terra Nova is a bit like touring a Hollywood movie set; things are not what they seem. Behind the weathered, wooden facades of the various nondescript, single story buildings, some of the most sophisticated plant breeding and propagation on the planet occurs on a daily basis. Ever wonder where that Euphorbia you grow comes from? 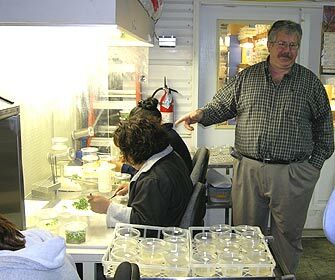 Breeding new plants is a fascinating business. Do you grow Heuchera ‘Pewter Veil?’ Its large, pewter-embossed leaves have made it one of the most popular perennials for northern gardens. It was created by Terra Nova in 1992, and is their first patented plant. 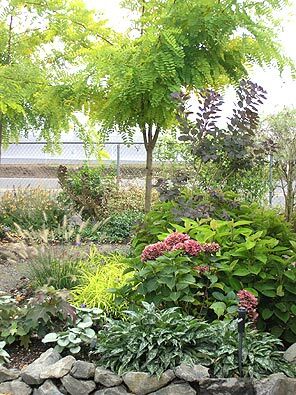 Dan Heims (though always quick to credit and praise the dozens of botanists, horticulturists, and geneticists he has assembled on his team) is the person primarily responsible for you being able to grow it in your garden. At the very least, Dan named it. So where did ‘Pewter Veil’ come from? 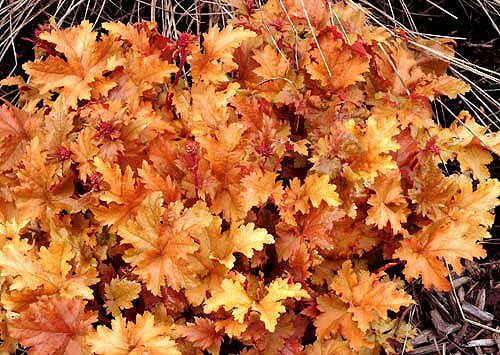 Heuchera (properly pronounced HOY-ker-uh) grows wild throughout the woodlands of North America, largely unnoticed because their low-growing, soft green foliage blends into the forest floor. But Europeans noticed it in the 1600s, and over the centuries botanists identified nearly three-dozen different species, from Heuchera alba, found across the Allegheny Mountains in West Virginia, to Heuchera wootonii, native to New Mexico. Different native species have different characteristics. Leaf size, mild variance in leaf texture and color, flower spike height and color, soil and moisture preference, and sun/shade tolerance are chief among these. As more and more species were discovered, it was noted that some had slight silver mottling to their leaves, or a bit of reddish veining. While most plants had green or white flowers, some species exhibited pink or purplish blooms. Hybridizing—the creation of a new variety of plant through cross-pollination—began on Heuchera in the late 1800s. 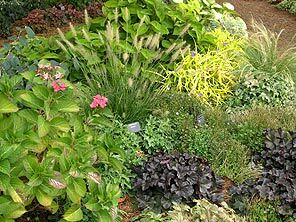 Hybridization is always an attempt at creating a new plant that exhibits a positive new twist born of the desirable traits (cold hardiness, leaf texture and color, plant height, etc.) of two different plants within the same genus. Botanists performed experiments to answer questions such as, if you pollinate the ripe pistils of H. alpestris with pollen from H. sanguinea, what do you get? 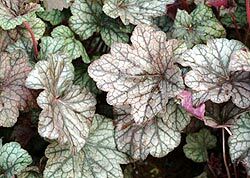 Heuchera ‘Pewter Veil’ came into being when Terra Nova plant breeders crossed H. Americana with selected strains of H. ‘Montrose Ruby’ (early on, a new variety of plant may be developed into several strains, each strain having minute genetic differences). But successful pollination is many steps—and years—removed from the retail introduction of a new perennial variety. Plants from the seed of this yet unnamed Heuchera variety were grown in Terra Nova test fields and closely observed. Are there new, dominant traits? Just as important, are their recessive traits in the second generation? 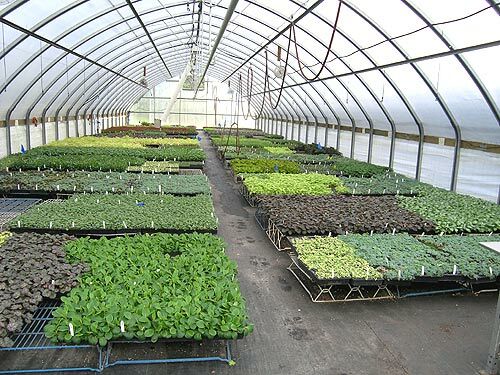 As is the case with every new plant they believe has merit, Terra Nova horticulturists grew tens of thousands of the new seedlings, constantly judging which individual plants showed the most striking leaf and bloom characteristics, and overall vigor. From over ten thousand seedlings, the 400 best-looking plants were marked, moved to different fields, and observed during an additional three-year evaluation process. 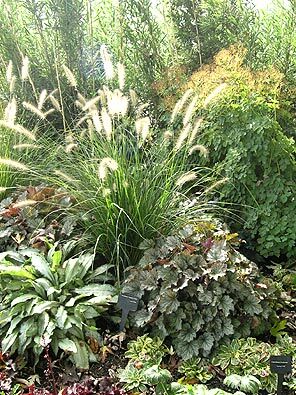 Finally, no doubt remained: The new Heuchera was a bold and brassy winner, and Dan dubbed it ‘Pewter Veil.’ But much more work lies ahead before any new plant can flourish in Zone 4-5 gardens. 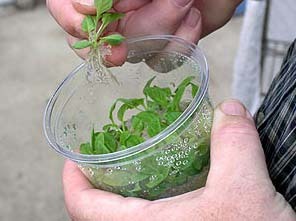 Propagation of plants at Terra Nova is done solely by tissue culture. 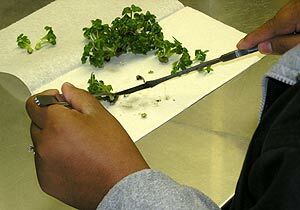 Technicians with scalpels operating at workstations washed by purified air slice a tender growth tip from a plant then slice the tip into flecks of plant smaller than a grain of rice. Each piece is placed into a test tube containing a growing solution that induces new shoots. Then these shoots are sliced into tiny flecks, the process repeated many times until the desired number of plants is reached. Next, introduction of a rooting hormone spurs roots, and after sufficient growth each plant is potted in soil and moved from the laboratory to the greenhouse. 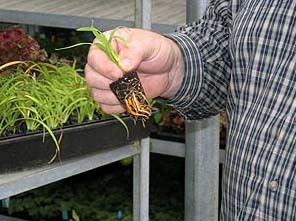 Once the plants mature to sufficient size, they are sold by Terra Nova to retail nurseries around the US (and Canada, Europe, Russia, Australia, Japan, Denmark, and a few other countries Dan couldn’t remember offhand), where they are usually potted a final time into the eight-inch containers you purchase. “The biggest excitement of all is breaking the rules,” says Heims. 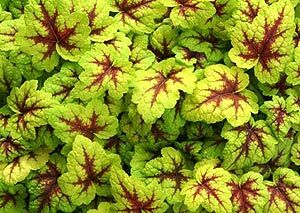 “There’s never been a yellow-flowered Heuchera, so let’s do it, come up with a plant the world has never seen before!” That’s the type of goal that must make it easy to show up each day for work. Terra Nova has a terrific website showcasing all their plants and technologies: www.terranovanurseries.com.